Home→Blog→Spaceman Central→Articles→All Of William Hartnell’s Episodes Reviewed On Old Doctor Who! Old Doctor Who have now finished reviewing all of William Hartnell’s – First Doctor episodes, in their episodes section. Doctor Who was a very experimental show, in the 1963 – 66 period. Featuring a mysterious alien time traveller – of unknown origin, who journeyed through time-and-space in a distinctive time machine with his grand daughter; Susan. Doctor Who featured the surprise casting of little known character actor, William Hartnell; a then 40-year veteran of stage-and-screen. Hartnell was usually cast in supporting roles; as antagonists – rather than as a lead performer. An Unearthly Child featured the introduction of the mysterious Doctor, Susan and kidnapped teachers; Ian and Susan. Who began a random journey through space-and-time, never sure of where they would end up. The series really caught the imagination of the public, with the introduction of the Daleks in The Daleks. Their enduring popularity spawned return appearances in; The Dalek Invasion of Earth, The Chase, The Space Museum, Mission to the Unknown and the epic; The Daleks’ Master Plan. If the Daleks gave the early series a welcome boost, then it was really in the developing of the classic variety-hook; “blindly travelling through space-and-time formula”; which would provide the central core of the show – for the next 26 years. 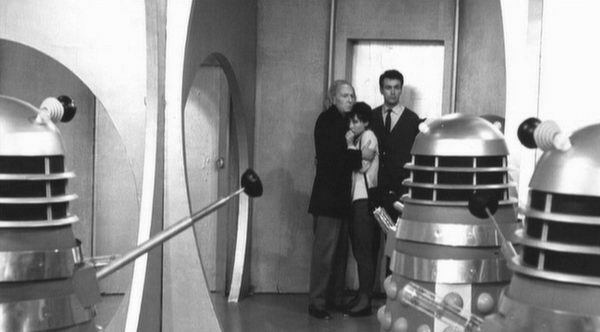 It was 2nd episode ;"The Daleks" - 1963 which reallly propelled Who into a ratings hit! 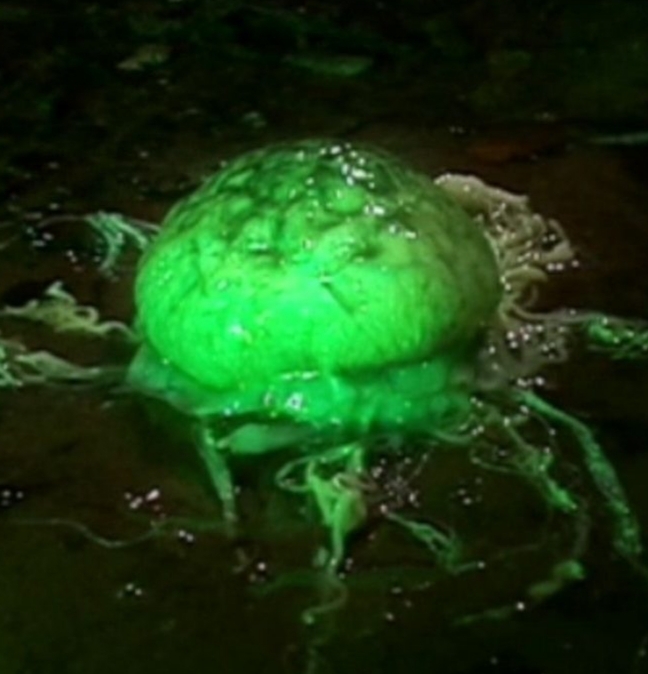 The early series, was split into science-concept episodes; which were set in space, on alien worlds or a future Earth. Through to Earth historical period dramas, which faithfully covered varying Earth periods; usually with a cheeky bit of historical influence – from the Doctor. The Doctor visited far-flung worlds, meeting telepathic Sensorites in The Sensorites, sub-serviant Monoids in The Ark. He also presided over a civil war between the butterfly Menoptra and ant-like Zarbi in The Web Planet. The First Doctor had a fondness for Earth history, particularly the French Revolution (The Reign of Terror) and 1960’s London where we first met him in An Unearthly Child. The Doctor also battled the fearsome artificial intelligence WOTAN; in London 1966 – in The War Machines. In what was an early UNIT-style nod, to the Doctor working with the military. The Doctor also met many Earth historical figures, including; Marco Polo – in Marco Polo and Nero in The Romans. He met King Richard, in The Crusade . Wyatt Earp, in The Gunfighters and Citizen Robespierre in The Reign of Terror. Hartnell brought a deep sense of commitment and purpose to his portrayal of the Doctor, which was carefully developed over the following three seasons; something not seen – or attempted on TV before with such precision. The Doctor threatens to eject Ian and Barbara into space for sabotaging the Tardis in "Edge Of Destruction" - 1964. He displayed a myriad of complex and interspersed moods and emotions. Swinging between kindly and humourous grandad, boastful and arrogant teenager and petulant child. All of this was underpinned by a quiet sense of intelligence, authority and superiority. The Doctor had an on-running battle with his teenage grand-daughter Susan, who he still felt was still a child; but Susan felt she was an independant young woman. It was with heavy heart/s, that the Doctor chose to leave her behind with her new love; David in The Dalek Invasion of Earth. And this became the theme of the First Doctor’s ongoing travels; meeting and losing companions. Sometimes he met young girls, who seemed to fill the void left by Susan (Vicki, Dodo). Other times, he chose not to save someone or interfere, as if choosing to observe the (as yet not covered); Laws Of Time. The Doctor finally met a fellow time traveller – known as the Meddling Monk, in The Time Meddler and again in The Daleks’ Master Plan; setting up a rivalry and feud which continued through time-and-space. The Monk manipulated Earth events for his own ends, which outraged the Doctor. However, the Doctor was quick to forget about his own (sometimes well-intentioned) meddling. Such as offering the idea of the wheel, in The Aztecs and the idea for the Greek Wooden Horse (during the Siege Of Troy) in The Myth Makers. The Doctor began to feel time catching up with him, in The Smugglers and upon a visit to an Earth military base in The Tenth Planet collapsed in the Tardis and “changed” (the term regeneration wasn’t coined until the Pertwee era). Strangely, the First Doctor’s final turn was not following a battle with the Daleks again; as fate may have otherwise dictated – but with a soon-to-be other cult monster; The Cybermen. Hartnell left the role – due to deteriorating health, having established the mythos; which would ground and propel the show forward – over the next 3 decades. His Doctor perhaps can be regarded as the most mysterious; due to a lack of detail of his earlier life/background. So, which was your favourite Hartnell Who?